The twelve important Hindu temples in India dedicated to Lord Shiva are those with the Jyotirlinga or Jyotirlinga. These 12 temples are known as Dwadash Jyotirlinga or Jyotirlinga. The twelve temples attract millions of Hindu devotees and the most important common festival observed in these temples is the Maha Shivaratri or Shivratri. Jyotirlinga means ‘the linga of light’ – the Shivalinga is in the symbolic form of a stone tinctured with a cycle of light. There are numerous legends associated with the origin of Jyotirlinga. 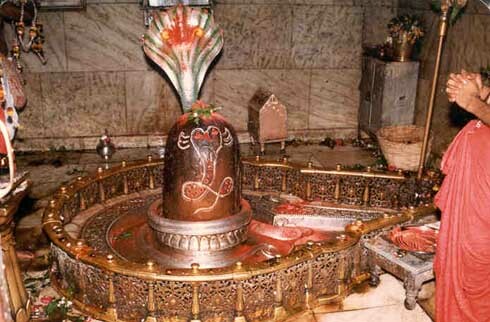 It is believed that Lord Shiva for the first time appeared in the form of Jyotirlinga. Somnath Temple at Saurashtra in Gujarat. Mallikarjun Temple in Srisailam, or Shrishailam, in Andhra Pradesh. Mahakal Temple, or Mahakalaswar, in Ujjain Madhya Pradesh. Omkar Temple, or Amishvar, at Omkareshwar on the banks of Narmada River in Madhya Pradesh. Kedarnath Temple or Kedareshwar in Uttarakhand. Bhimashankar Temple at Dhakini in Maharashtra. Kashi Vishwanath Temple, or Viswesh, at Varanasi in Uttar Pradesh. Trimbakeshwar Temple near Nasik on the banks of Gautami River in Maharashtra. Baidyanath Dham or Vaidyanath Temple at Deoghar in Jharkhand. Nageshwar Temple near Dwarka in Gujarat. Rameshwaram Temple in Tamil Nadu. Grishneshwar Temple Near Ellora in Maharashtra. There is an important sloka dedicated to the 12 Jyotirlingas in the Shiva Purana. Lord Somnath is in the country Saurashtra, Mallikarjuna is on the Srisailam, Mahakala is in Ujjaini, Parameshwar belongs to Onkar, Kedar in the mountain of Himalaya, Bhimashankar is in the country of Dakini, Viswesh belongs to Varanasi, the Lord Tryambakam resides on the shore of Gautami river, Baidyanath lies on the land of ashes and the Lord of snake lives in the wooden forest. Lord Rama stays near the sea where it was bridged by him and Lord of Ghushma resides in the abode of Shiva. If one recites the twelve names in the early morning, he will get rid of all sins and will get all fruits of his efforts. Why is Lord Shiva worshiped in the form of Linga?